The federal government could help restore full employment in Australia by using its spending power – like it did in the post-war boom – to create a more prosperous and egalitarian nation, writes Warwick Smith from the University of Melbourne in this article that was first published in The Conversation. Treasurer Scott Morrison stated: As the labour market tightens, that’s obviously going to lead over time to a boost in wages. There was a period in Australia, and much of the rest of the developed world, from the end of the second world war to the early 1970s, that is often referred to as the “post-war boom”. During this roughly 25-year period, unemployment averaged 2 per cent, inequality fell steadily and economic growth was strong. 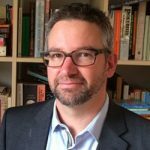 About the author: Warwick Smith is a research economist at the University of Melbourne and, as of February 2016, a Research Fellow at progressive think tank Per Capita. His current academic research is on macroeconomic forecasting and the role of expert opinion. Warwick is a research economist at the University of Melbourne and, as of February 2016, a Research Fellow at progressive think tank Per Capita. His current academic research is on macroeconomic forecasting and the role of expert opinion. Warwick's research interests are very broad, including evidence in public policy making, taxation economics, gender economics and the history and philosophy of economics.